Summer is here and we’re all striving to tone up, lose weight, look hot and for some of us – show off pieces of our body that nobody wants to see. Ever. 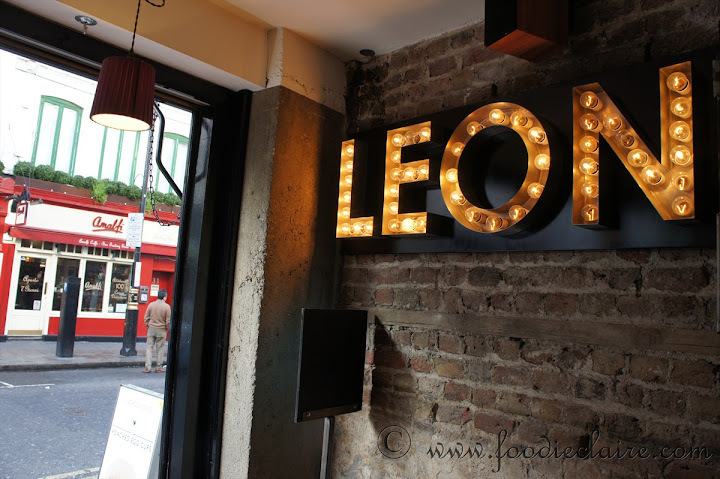 Anyway enough of some of the sights I see in London – have you been to Leon recently? They’ve not long ago introduced a super tasty Persian Chicken and Avocado Salad. When Leon introduces their new additions to their menu they do it in the most wonderful way – using social networking and placards outside of their restaurant. The marketing certainly works for me (as you may have seen in my Poached Egg Cups post). I regularly find myself hot-footing it into the nearest branch (almost always Old Compton Street) to feed my food fetish. I couldn’t believe my eyes when about three weeks ago, I walked past Leon of Old Compton St in Soho, London and spotted the latest addition to their menu; egg cups. I had to try them. I am a huge fan of breakfast. Savoury of course. To me, every perfect breakfast should include eggs. I can’t comprehend those that don’t like them. What’s not to like? There are so many things you can do with them for breakfast. Poach, boil, scramble, fry, omelette – and bake, commonly known as cocotte. I first tried oeuf en cocotte off the back of Nigella Lawson’s recipe – and then realised you can add a lot of variations to your baked eggs and double cream. Bacon, spinach etc.